Refrigerator pickles are so easy to make yourself! No canning necessary. They're ready in about 24 hours. 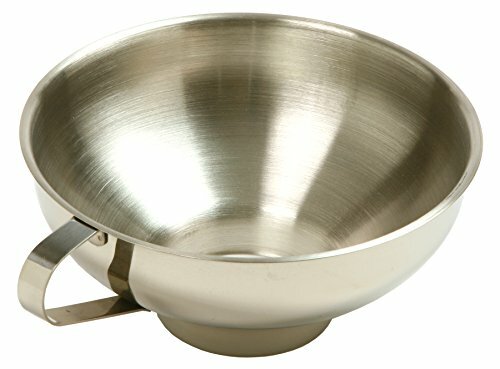 Great for burgers, sandwiches, and snacking. Pickle chips are essential for hamburgers and sandwiches. Did you know that you can easily make them yourself at home? With this method for refrigerator pickles, you don’t need to get out the canning equipment or have any special pickling know-how. They’re made with a simple brine and pickle in just 24 hours right in the fridge. They’ll keep for up to a month — if they last that long! You can make your own pickling spice blend, or use a store-bought blend. If you go store-bought, my favorite brand is Spicely Organic Pickling Seasoning, and it includes mustard seeds, dill seeds, bay leaves, coriander and other common pickling spices. I also love seasoning them with whole cumin seeds, garlic, red pepper flakes for kick, or even a blend like panch phoron (a pungent Bengali five-spice mix). Really, you can use whatever whole spice blend you prefer. Since we’re not actually canning these pickles, you can make and store them in any glass container. Any container with a tight-fitting lid will do. I like to use canning jars, but I replace the metal lids and bands with plastic lids. These lids are much easier to take on and off, and you don’t have to fumble with two pieces each time you open the jar. You can use this method to make pickle spears as well! They'll need to pickle for 2 to 3 days in the fridge before they're ready. As is, the recipe makes a fairly sweet pickle. You can cut the sugar in half for a more sour and tart pickle, if desired. 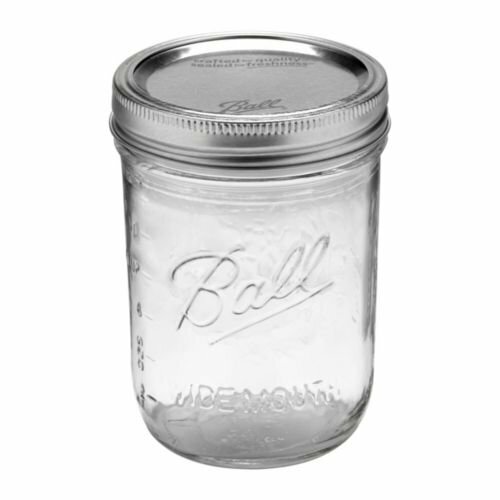 1 Wash and dry the jars and cucumbers: Wash 2 wide-mouth pint jars and their lids in hot, soapy water. Set them aside to dry. Rinse the cucumbers well under cold water, pat them dry, and then set them on a towel to dry completely. 2 Slice the cucumbers and onion, then pack them in the jars: With a sharp knife or a mandoline slicer, slice the cucumbers and onion into slices 1/8- to 1/4-inch thick. Firmly pack the cucumbers and onions into the jars, fitting in as many as you can without smashing the vegetables. Leave 1/2-inch or so of headspace at the top of the jars. 3 Make the brine: In a small saucepan over medium-high heat, bring the vinegar, water, sugar, salt, and pickling spice up to a simmer. Stir occasionally and continue simmering until the sugar and salt are dissolved. 4 Pour the brine over the vegetables: If you have a canning funnel, use it here to make it easier to fill the jars. Carefully pour or ladle the hot brine into each jar, filling the jars until the cucumbers and onions are covered. It's ok if a few small pieces poke out the top. 5 Cool and refrigerate for 24 hours: Screw on the lids, then let the jars cool to room temperature (about an hour). The cucumbers will start off bright green, but will become darker and more "pickle-colored" as they cool. Place them in the refrigerator. Wait at least 24 hours before eating the pickles in order to let the flavors develop. Use them within one month. Hello! All photos and content are copyright protected. Please do not use our photos without prior written permission. If you wish to republish this recipe, please rewrite the recipe in your own unique words and link back to How to Make Easy Refrigerator Pickles on Simply Recipes. Thank you! from other experience making sauerkraut, after slicing the cucumbers, I salted them (kosher salt) and left them in a covered bowl to draw off moisture – you can get quite a lot. then rinse the slices and follow recipe as above. they seem to me they come out a little crisper this way. Is it possible to do this using whole, small or mini cucumbers instead of slicing large ones? Hi, Christine! Yes, I think other cucumbers would work fine in this recipe. Let us know how it goes! Looks like a winner. . . . .I wonder if you have a recipe for pickled sausages and hard boiled eggs?? . . . . .Years ago (too many) I could get them in bars in Florida, and I think they were made under a name such as MAX’s Pickled Sausages ????????. . . I enjoy the recipes very much, but don’t do much cooking anymore as we live in an apartment, now. . Thank you very much for your prompt response. . . . .
Hi, Howard! We’ll have to look into pickled sausages — that’s a new one for me. But check out our recipe for Pickled Eggs right here! If you don’t have pickling spice, what do you suggest using? I always go for mustard seeds, bay leaves, and peppercorns. You can also add cloves (one per jar is enough I think) or allspice. Hi, Susie! You can make your own blend of spices, if you like. Here’s our recipe: Basic Pickling Spice Blend. Hi, Jon! You can definitely add garlic if you like! Smash 2 to 3 cloves and add them along with the cucumbers and onions. This will be my 1st attempt at making my own pickles. I’m excited. Is the sugar ‘required’? How much will it affect things if I leave it out? In this recipe, the sugar really does balance out the tartness of the vinegar. Without any sugar, the cucumbers will definitely pickle, but they’ll be quite sour. I’d try cutting the amount in half to start, and seeing if they come out to your taste! you can also change the balance slightly – a bit more water, a tad less vinegar.